Hello everyone! 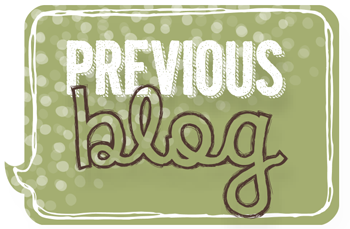 The Stamp Review Crew is here with another fabulous blog tour! This month we are featuring the Sheltering Tree stamp set! I am your stop after the very talented Dawn Tidd! I haven't stamped in a while and I forget how easy it is to use this wonderful stamp set! I love how easy it is to create beautiful cards with this set! I used the sketch at Freshly Made to help me create this. Super easy!! I didn't put a sentiment on this one yet. I am waiting to see who the receiver might be, first. Anyway, there you have it! 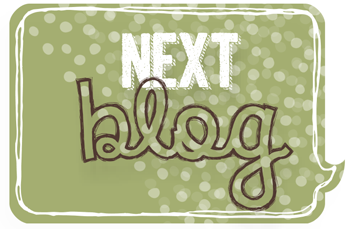 Now it's time to send you on to see what the fabulous Ann Schach has created! I hope you are inspired our creations! Thanks for stopping by and have a super day! That looks like a swing I'd love to swing on! The Pistachio Pudding background is gorgeous and the flowers look so pretty. You have created such a beautiful scene! Love the Crisp Cantaloupe with the greens! Pretty card! I love how peaceful your card is. You can almost sense the wind that is pushing the swing! Gorgeous card, Debra! I love the flowers along the bottom. Great details! So simple and yet so lovely. Great idea to use the swish for sky - I need to try that. Love how you added the wisps of sky. Your card is a wonderful "spring is coming" kind of card! You have created such a peaceful scene. Love your choice of greens and the bright twine to coordinate with the flowers. Beautiful spring card, Deb. I love the crisp clean look! Pink and green go great together! What a great scene you've created. The tree is so vibrant! Thanks for joining us at Freshly Made Sketches! Beautiful card Deb! Love the layering of the two greens in the tree and all the flowers along the bottom are so pretty! Looks like a beautiful spring day! This is just beautiful Deb! I love your choice of stamps and the sweet colours you've used. Thanks for joining us at Freshly Made Sketches this week! So pretty, Deb! 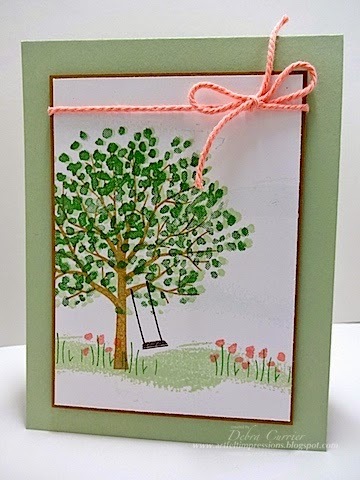 The Crisp Cantaloupe twine really sets this card off perfectly! Very pretty I love the colors on this just gorgeous.